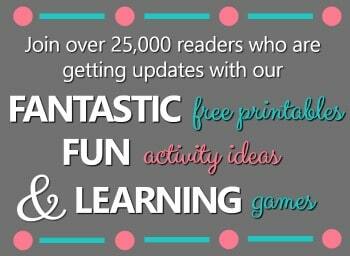 Christmas is a fun time of year with plenty of inspiration for art activities to enjoy. We especially love it when we can whip up a quick and simple art activity with limited materials. 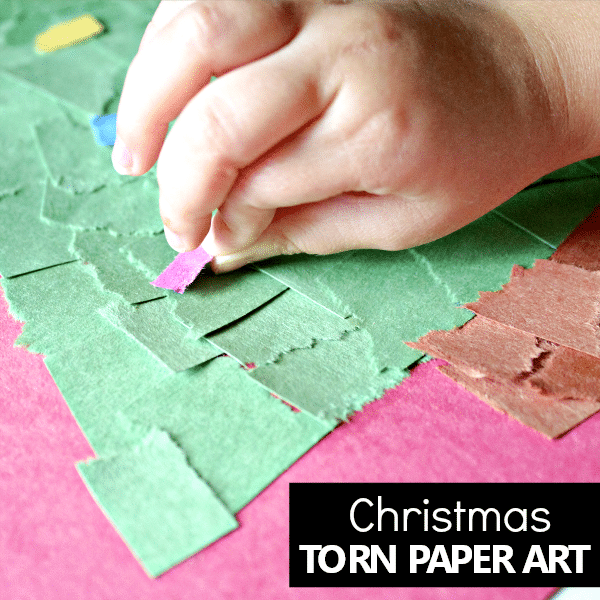 That’s just what we did with our Torn Paper Christmas Crafts for Kids. 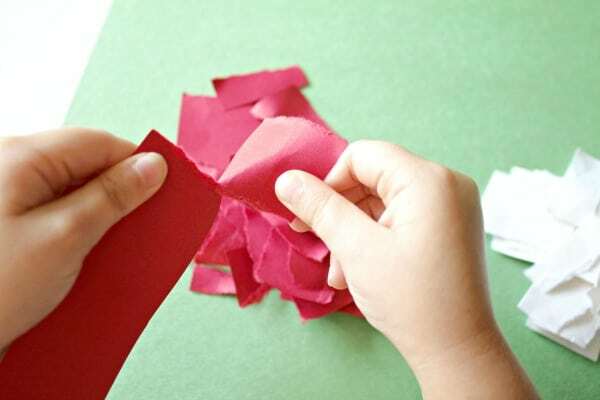 By using just two materials that you’re bound to have on hand- paper and glue- you can easily create some unique works of holiday art. 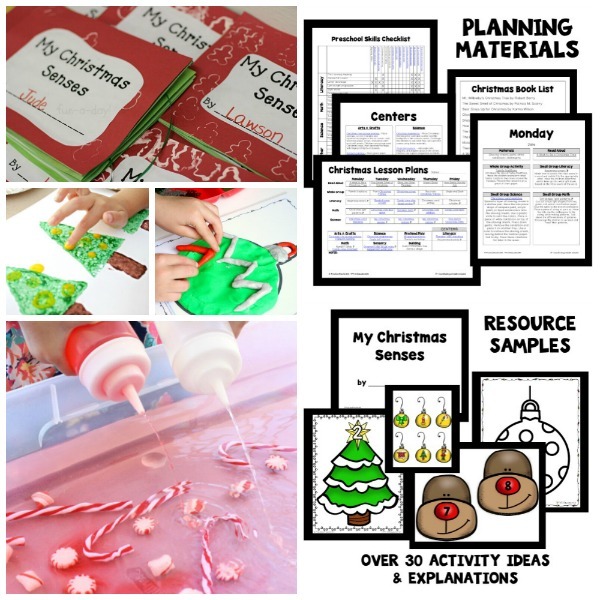 Kids may choose to create candy canes, Christmas trees, ornaments, or stockings. 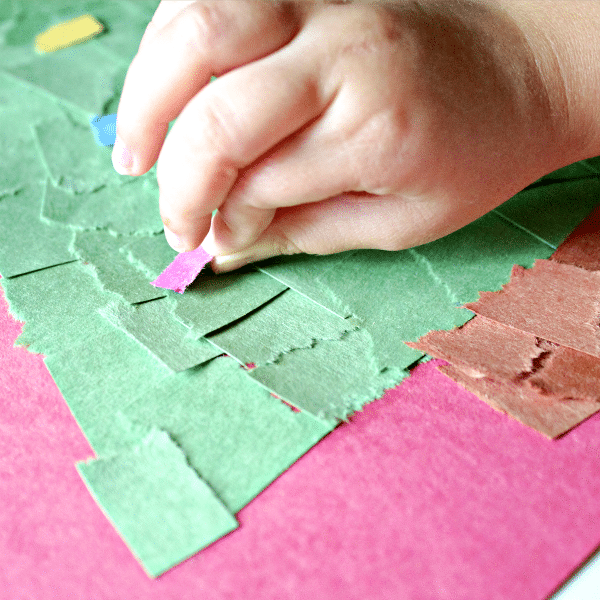 Little artists will love this hands-on approach to art, as they get to sharpen those fine motor muscles when they tear- yes, TEAR the paper, and glue it on in mosaic form to create some festive art. 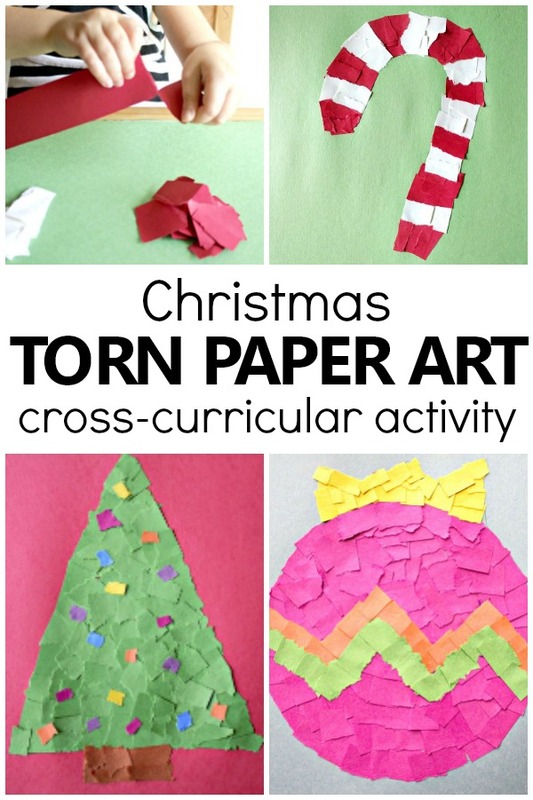 Sorting, patterning, color identification, and shape recognition also come into play with this art activity, as kids work across the curriculum creating Christmas torn paper art. 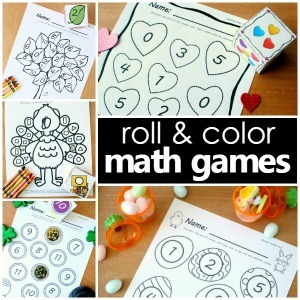 To prepare this art activity, you only need to cut one inch strips of assorted construction paper! 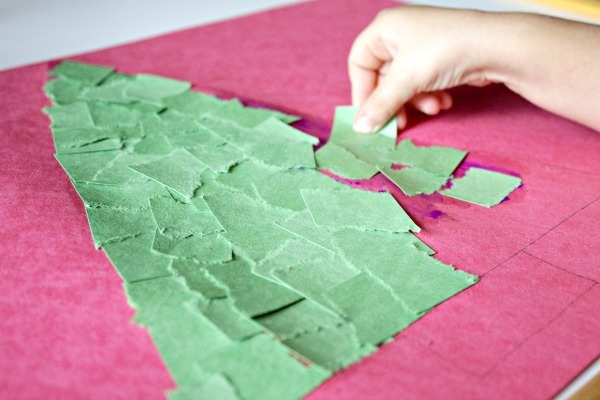 We recommend outlining the holiday shape that students will be filling in for ease. 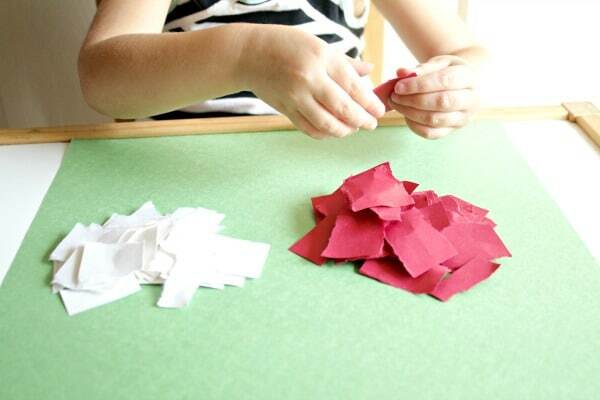 For added fine motor practice, invite children to help you tear the strips of paper. 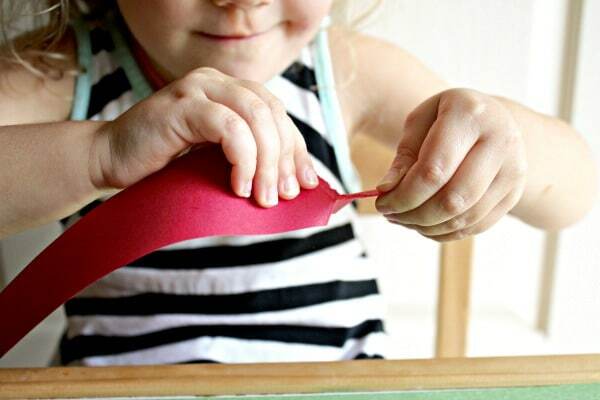 This will get those little finger muscles flexing and stretching those muscles! Looks of sheer joy spread over faces as they were tearing and listening to the bits of paper rip! As we continued with our Christmas torn paper art project, pieces of torn paper were sorted by color. This gave us some added practice with sorting and color identification. While creating our candy cane art, we also squeezed in some simple AB patterning practice. 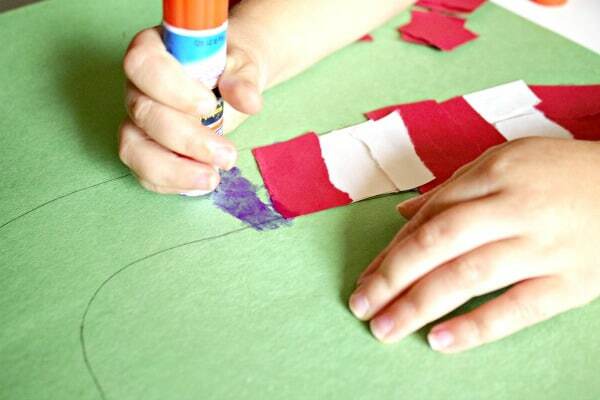 We reviewed the red, white, red, white “AB pattern” on candy canes prior to gluing. As we glued along, we recited back the pattern. Next, we had some fun creating a Christmas tree! 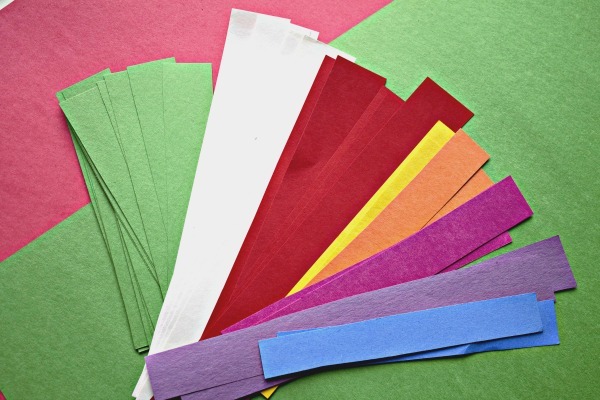 This simple torn paper craft is great for weaving in shape identification. As we filled in our Christmas tree, kids were quick to point out that they recognized a triangle for the tree and a rectangle for the stump! Finally, we wrapped up our Torn Paper Christmas Crafts for Kids with a beautiful ornament. A large circle was outlined, some decorative zig-zags, and a gold clasp was sketched out too. 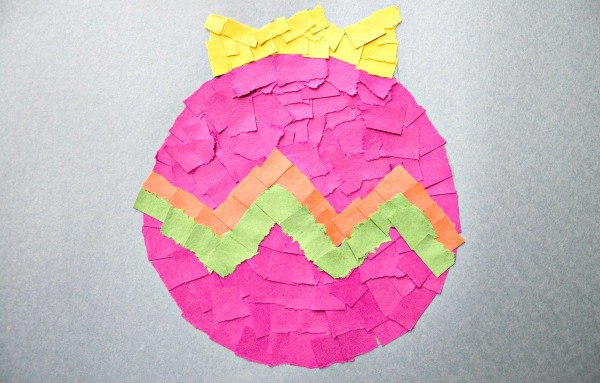 Bright and cheery colored squares adorned the ornament and we had yet another beautiful work of simple holiday art!